This industrial hall tree with a wooden bench will be a great first impression for visitors to your home. 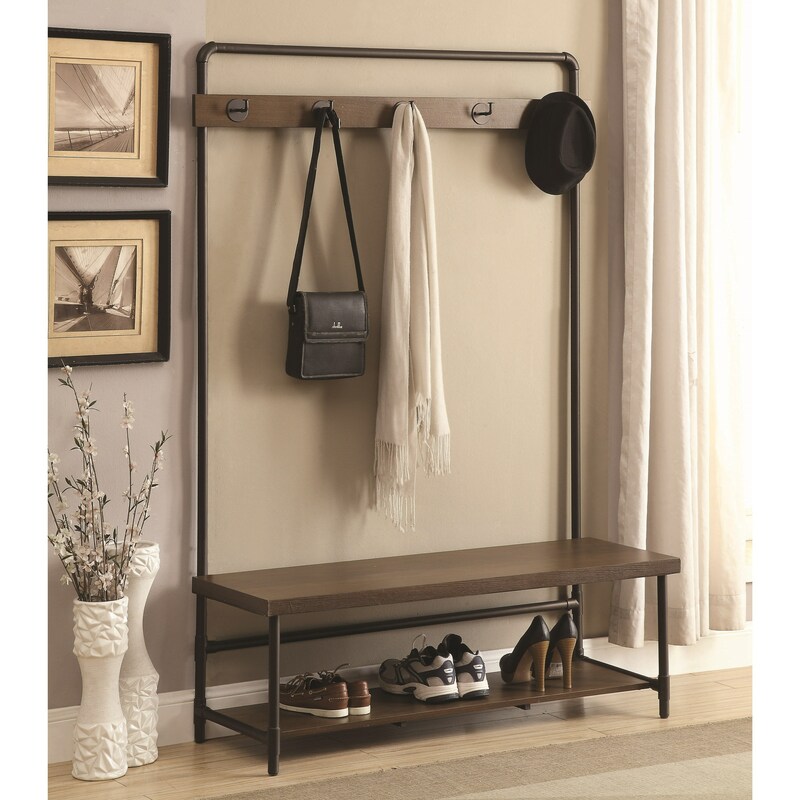 Five double hooks are perfect for hanging jackets, hats, and bags while a shelf is great for stashing shoes. Not just convenient, the hall tree is stylish with a utilitarian design and a frame made of industrially inspired pipes. The Coat Racks Industrial Hall Tree by Coaster at Sam Levitz Furniture in the Tucson, Oro Valley, Marana, Vail, and Green Valley, AZ area. Product availability may vary. Contact us for the most current availability on this product. The Coat Racks collection is a great option if you are looking for furniture in the Tucson, Oro Valley, Marana, Vail, and Green Valley, AZ area. Browse other items in the Coat Racks collection from Sam Levitz Furniture in the Tucson, Oro Valley, Marana, Vail, and Green Valley, AZ area.